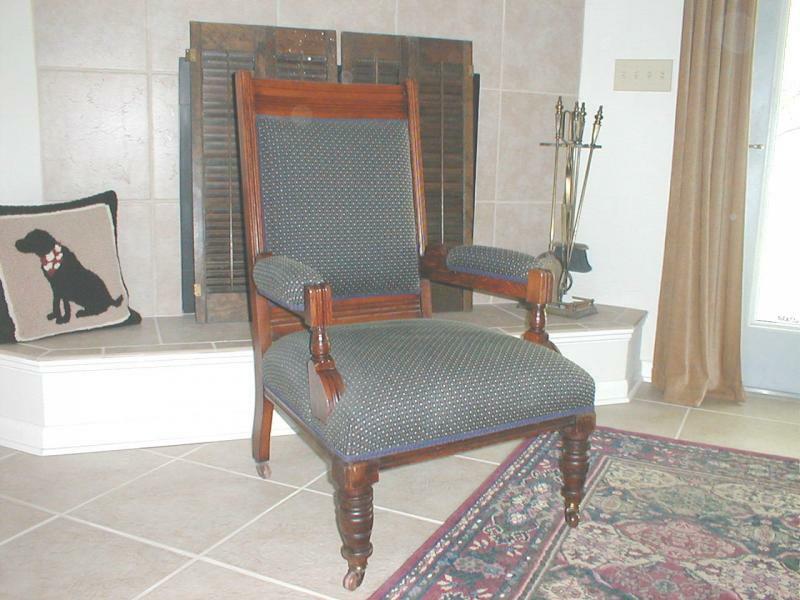 This chair has the finest construction of eight way hand tied coil springs padded with the original horse hair. Having a wide accommodating seat it is very comfortable. The frame is mahogany. It has the original wood casters with brass fittings. As you can see it has been completely restored . It was purchased from a gentleman who acquired it from his boss who had it shipped to the United States when he moved here (from England)to start a manufacturing plant. Wouldn't you love this chair in your personal library! 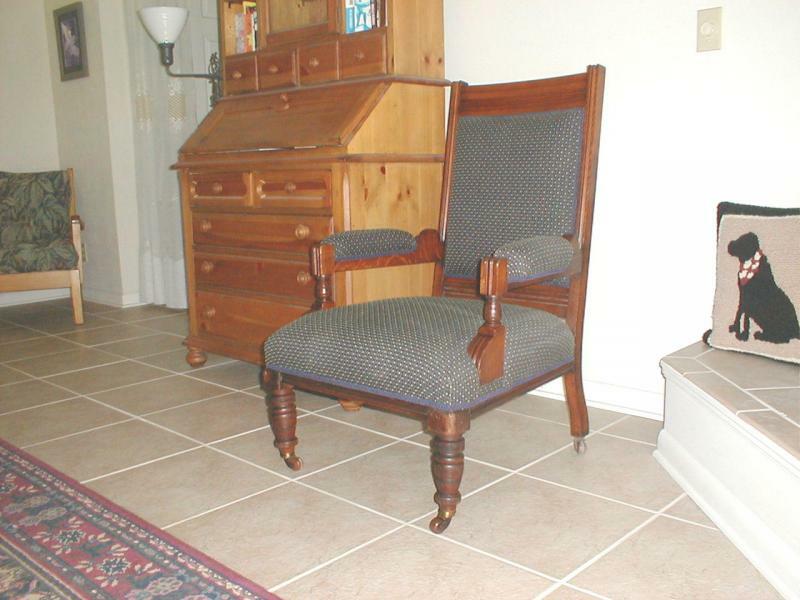 Copyright NorthFloridachair.com All rights reserved.